Useful kitten and puppy advice for new pet owners. This FREE download is packed full of handy advice for new puppy and kitten owners. This pet advice guide is supplied courtesy of the veterinary staff at Castle Vets in Launceston. Enter your details below and we’ll give you a link so you can download this useful PDF guide for puppy and kitten owners. 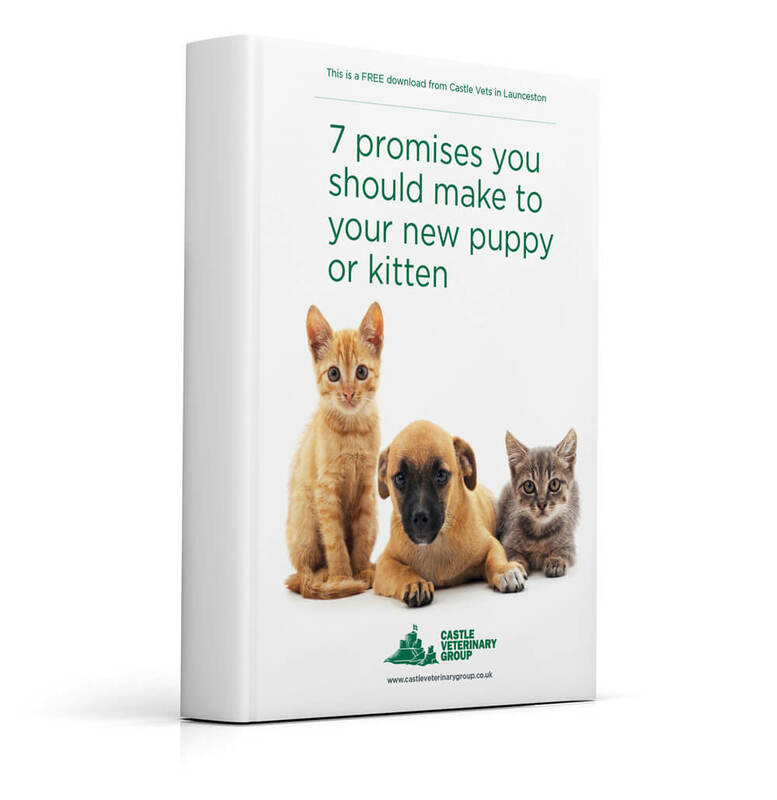 If you have a new puppy or kitten in your household this PDF booklet contains some really useful advice to help your new best friend settle in. “Welcoming a new puppy or kitten in to the family is always an exciting time. You’ve picked your ideal pet, you have all the stuff, you’ve got them insured, so now it’s settling in and enjoying all those cuddles and games as you get to know each other. Much like bringing a human baby home, these are times you’ll never forget. As wonderful as this time is we know that alongside the cuddles, the responsibility of a new family member can sometimes feel overwhelming. This new fluffy bundle of joy is going to depend on the care you give them for the rest of their lives. Children are very vocal about their needs and let you know when things are wrong, but cats and dogs and not always so good at that!